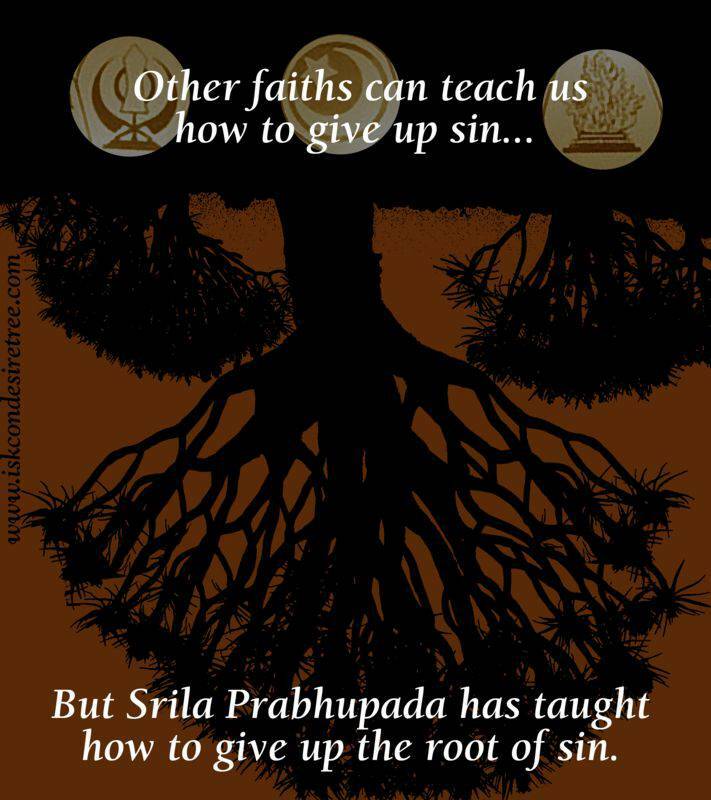 Other faith can teach us how to give up sin… But Srila Prabhupada has taught how to give up the root of sin. 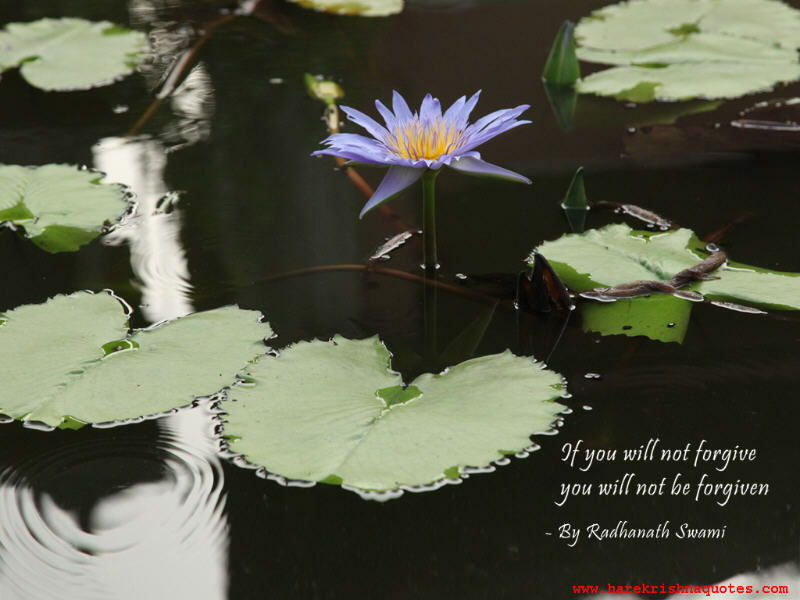 If you will not forgive, you will not be forgiven. 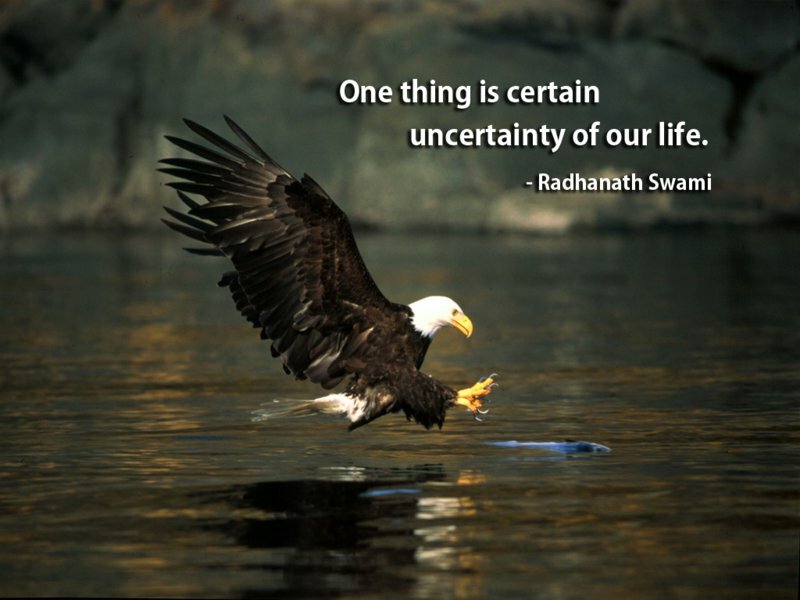 One thing is certain – Uncertainty of our life. 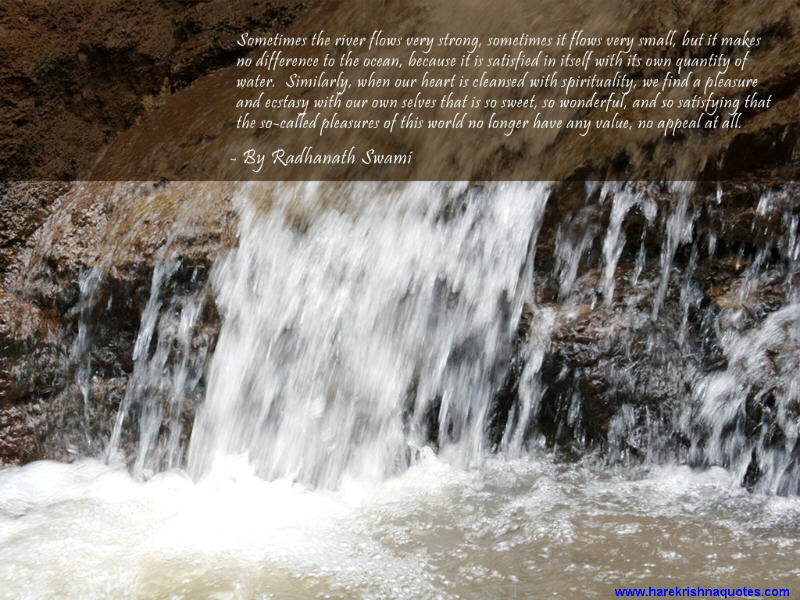 Sometimes river flows very strong, sometimes it flows very small, but it makes no difference to the ocean because it is satisfied in itself with its own quantity of water. Similarly, when our heart is cleansed with spirituality, we find pleasure and ecstasy with our own selves that is so sweet, so wonderful and so satisfying, that the so-called pleasures of this world no longer have any values, no appeal at all.